We’re very active in our local Sussex community at Oakley. Our team loves to take part in charity events, and many of these are active sporting events – with varying success! 2017 has been a busy year with paddle board races, bike races and now go-kart racing too. 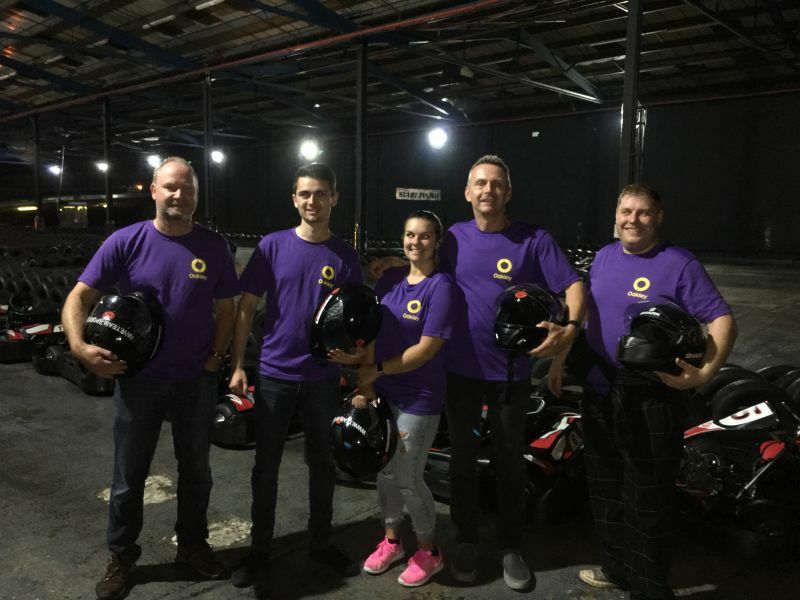 We recently sponsored and took part in the Saferock Naru Charity Go-Kart event with INTO Giving to help raise £10,000 for the Naru Association to put towards building the Naru Homestead. The homestead will offer the poorest families in the outlying areas of Guatemala a place to learn about and be supported with issues such as food production, generating fresh water, nutrition and childcare; all of which are essential for survival under the tough circumstances they live in. Oakley were delighted to donate a significant amount towards the Naru Homestead funds and jumped at the chance to be involved in such a fun event. We had no shortage of volunteers from the Oakley team ready to get stuck in to the race. The thrill of the chase was what pulled the more athletic of us in; others were tempted in with the prize of unlimited pizza throughout the night. Taking 25 minutes of driving action each, we joined the race day after a long day at the office, where many of our estate agency team members make careful use of our Oakley pool cars to attend appointments and viewings. We pride ourselves on our safe driving across the city of Brighton and Hove and beyond; with some of our offices situated on one of the most complex one-way systems in the city, we’re no stranger to doing a few laps to get to where we need to go. It transpired that our careful driving carried on into the go-kart track, as our team placed a leisurely 8th position out of the twelve teams participating. A fantastic evening was had by all involved, and we were pleased to be joined by our working partners River Oaks homes, whom also sponsored the event. Our Professional Property Services team have been working closely with River Oak Homes in recent years, and are delighted to have helped them secure the necessary planning consent for a new 100-unit residential scheme in central Lewes. The new development, known as Southdown Park will consist of a mixture of townhouses and apartments and work is due to start on site in 2018. If you would like to learn more about the Naru Association and would consider donating funds to projects like the Naru Homestead, then do visit http://www.into-giving.com.